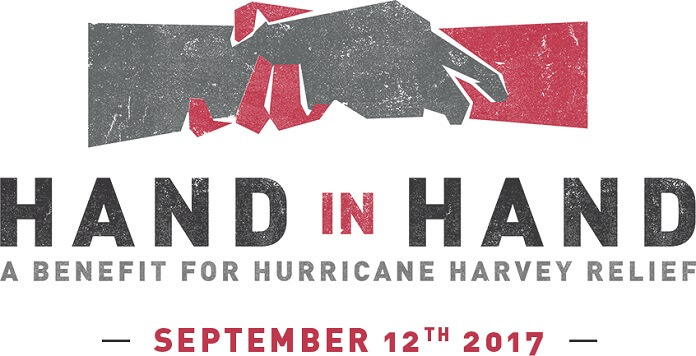 ABC, CBS, CMT, FOX, and NBC are joining forces for Hand in Hand: A Benefit for Hurricane Harvey Relief, a one-hour special fundraising event to help those affected by Hurricane Harvey. The telethon will air live on Tuesday, September 12, 2017 at 8pm ET/PT (tape delayed on the West Coast), and will feature appearances by George Clooney, Jamie Foxx, Tori Kelly, Karlie Kloss, Beyoncé, Matt Lauer, Rob Lowe, Matthew McConaughey, Dennis Quaid, Julia Roberts, Kelly Rowland, Adam Sandler, Ryan Seacrest, Blake Shelton, Michael Strahan, Barbra Streisand, Oprah Winfrey, and Reese Witherspoon. The telethon will take place live from the Universal Studios Lot in Los Angeles, Times Square in New York, The Grand Ole Opry in Nashville, as well as a live performance by George Strait from his benefit concert in San Antonio’s Majestic Theatre. Funds raised will go toward assisting the United Way of Greater Houston, Habitat for Humanity, Save the Children, Direct Relief, Feeding Texas and The Mayor’s Fund for Hurricane Harvey Relief (administered by the Greater Houston Community Fund) through the Hand in Hand Hurricane Relief Fund managed by Comic Relief Inc.
SB Projects is producing Hand in Hand and founder Scooter Braun will executive produce with Allison Kaye, Jesse Ignajatovic, Evan Prager, Bernard ‘Bun B’ Freeman, and Chris Choun.